Here’s the deal. I’m going to pay you to stay in your pajamas in bed for the next two months. Does that sound to be good to be true; are you wondering if it’s a scam? What if I shared it this way? NASA will pay you $18,000 to stay in your bed for 70 days. “Being able to test new ideas on Earth saves invaluable flight time. 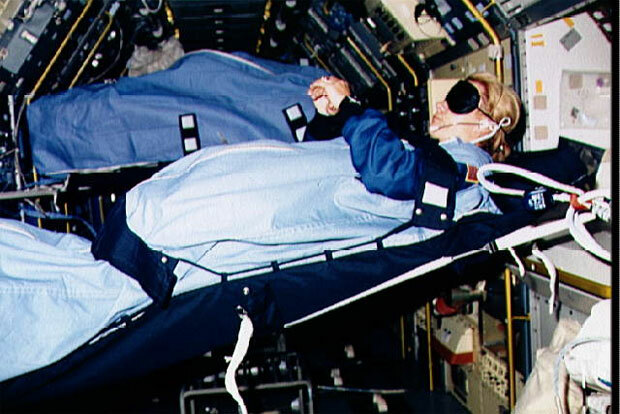 What the bed rest does to their [test subjects’] physiology and how the exercise countermeasures benefits their physiology helps us better prepare and protect astronauts when they are in space. In fact, how it affects the physiology can be applied to everyone on earth,” shared Joe Neigut, Flight Analog project manager at NASA’s Johnson Space Center in Houston TX. I know this is unusual, and I’m not suggesting you can turn sleep into a profession, but it does illustrate an important point. There are unique ways to work that aren’t always along the conventional paths that typically spring to mind when thinking about careers. This begs the question, what other opportunities are currently available that would not only be interesting, but also financially viable via CareerJoy? Most people can brainstorm 50 to 100 career paths, but, in fact, there are tens of thousands of career options, with new ones added daily. Looking to rethink your career path? We can help; and you won’t have to go to the moon and back to figure it out. But, you could shoot for the stars! Fully awake, along the road with you! P.S. Is it time for you to find your unique career? Who’s your career coach? Need help with a transition, job search, or just getting on the right track? Invest in yourself, get the edge in this competitive market. Book here to get started. P.P.S. Join our CareerClass Webinar | Leadership Begins With You!. Wed, Oct 9:12-12:45 P.M. ET. Invest 45 minutes of your time and discover methods to ensure professional success. Click for more details and register.